Challenge: My students are having trouble extending to contact on their serves. 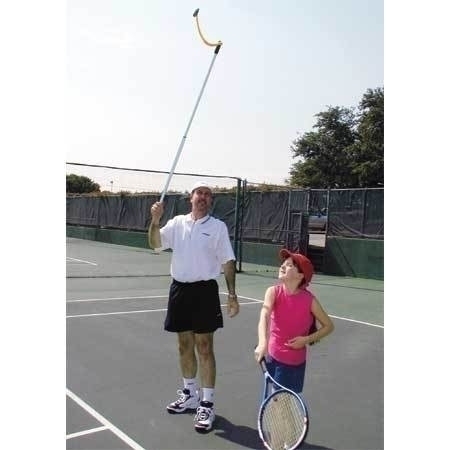 Solution: Getting a feel for correct body position relative to ball position on the serve (or even groundstrokes) is a problem for many beginning players. Each well-constructed unit consists of a 3-part aluminum extension pole and Velcro system that attaches to any tennis ball. Just hold the ball in position and have the player hit it right off the rope. It's that simple. Watch the video clips by clicking the watch button to see the Serve Doctor in action.